The film is setting pre-sale records already and it's going to be incredible. 1. Who plays Black Panther in the movie? Chadwick Boseman plays the titular character of Black Panther in the 2018 Marvel film “Black Panther”. In the Wakanda tradition, all kings are referred to as “Black Panther”. 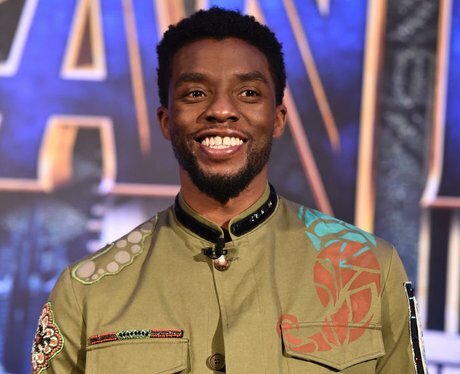 Chadwick plays the current Black Panther, T’Challa. Chadwick is American. 2. Has Black Panther been in other Marvel movies? Black Panther appeared in Captain America: Civil War (2016). He will appear in Avengers: Infinity War (2018) and an untitled Avengers film slated for 2019. 5. What is Black Panther’s suit made out of? Wakanda’s most valuable resource is a fictional metal called Vibranium. It is the material that Black Panther’s suit is made from. A different variation of Vibranium can be found in Captain America’s shield. 6. Who plays Black Panther's sister? Black Panther’s sister, Princess Shuri, is played by Guyanese-British actress, Leticia Wright. Leticia Wright has also appeared in Doctor Who and Black Mirror. She will reprise her role as Shuri in Avengers: Infinity War. Lupita Nyong’o plays Nakia, a member of the Black Panther’s guard (Dora Milaje). She is also a spy. In the comics, Nakia and T’Challa are lovers. 9. Who is the director of Black Panther? Ryan Coogler is the director of Black Panther. He is best known for directing the seventh ‘Rocky’ spin-off, Creed (also starring Michael B. Jordan).